Rudy Giuliani, the personal lawyer for President Donald Trump, suggested that his client was still supportive of the idea of releasing the findings from special counsel Robert Mueller’s Russia report, which was submitted last month. Specifically, Giuliani, appearing on CBS News’ “Face the Nation” Sunday morning, said that Rep. Jerry Nadler (D-NY), chairman of House Judiciary Committee, should “get all the information” from the report filed by Mueller to Attorney General William Barr. Trump is even fine with the report being made public, his lawyer contended. 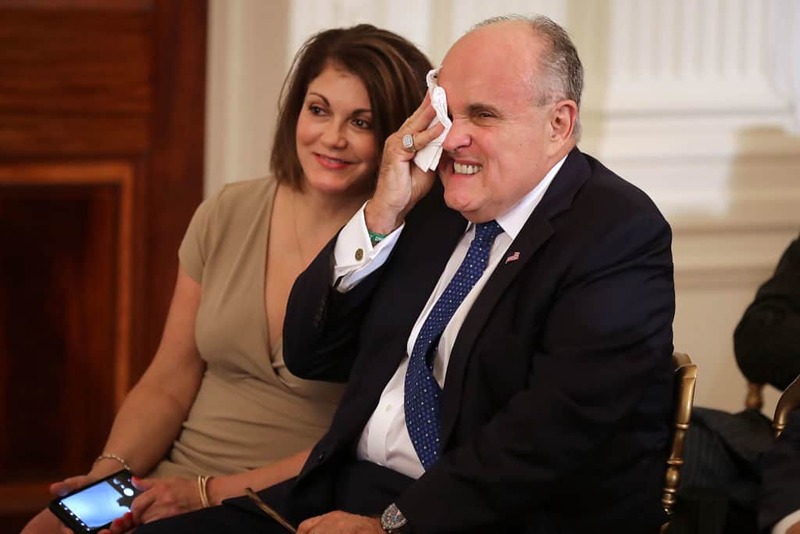 “The president has told the attorney general, has told everybody, the world, ‘I am comfortable with everything being released,'” Giuliani said. Giuliani’s characterization of what Trump wants to see happen with the report, however, comes in spite of the fact that many within the media have reported that the president is starting to backtrack on the findings from that report, and seems to be more agitated as calls for its release increase, MSNBC reported. Many Democrats have complained that Barr’s four-page letter was not a sufficient summary of Mueller’s report, which is reportedly hundreds of pages long. Leaks last week from investigators involved in Mueller’s inquiry suggested Barr left out important details that cast doubts on the president’s innocence when it comes to questions of obstruction of justice. They’ve also made clear that Trump’s presidential campaign may have been manipulated by a Russian intelligence operation, per previous reporting from HillReporter.com. Giuliani scoffed at the concerns from the Mueller camp, and complained that such leaks had been coming out of the special counsel’s office for some time. “The Mueller group has been leaking all along. How did CNN end up at Roger Stone’s raid?” he asked, referring to a theory that Mueller’s team tipped CNN off so that they could get footage of Stone being arrested, although those claims have been thoroughly debunked. Margeret Brennan, who was interviewing Giuliani, asked at one point how he could simultaneously berate the investigation yet also embrace some of its findings. “That’s because there is no evidence,” Giuliani said, before launching into an unrelated diatribe about Hillary Clinton and the Clinton Foundation.